As the last few hours of 2012 slip by, I find myself thinking back a little further than I usually do. Typically this time of year will be filled with “My top ten (insert subject here) of (insert year hear)”. And then there is the aftermath of the Christmas experience and the Boxing day sales. Which is always an eye opener. Or maybe the more pressing matter of the end of year booze up. In short, reflection is not something that should happen at this time of year. So in a year of ups & downs, the over all balance is good. I hope you all had a good year. And that the next and following years continue to get better and better. So I recently discovered you can have a fantastic giggle for less than £24. 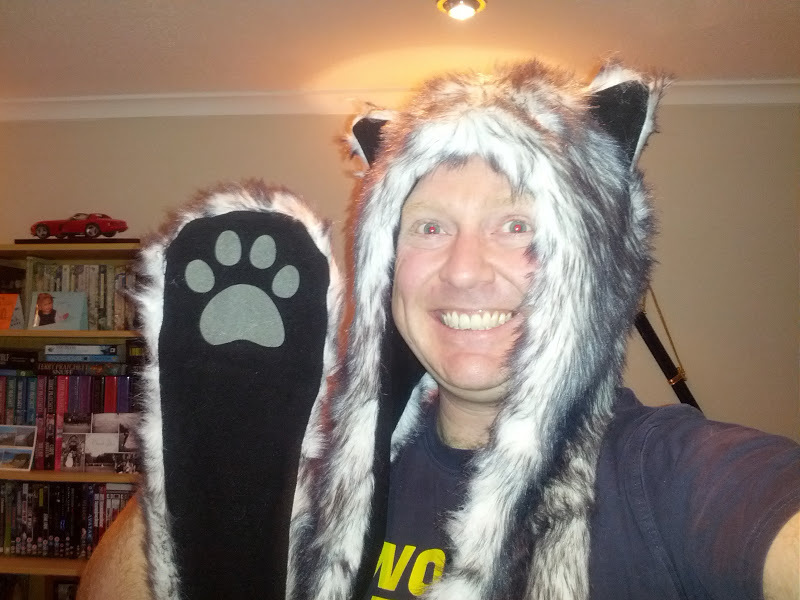 Now there is a product range made by a company call “Spirit Hoods”. Some really cool stuff. But outside of a sale, then there’s nothing there for less than £100. Which is a lot for a fury hat & scarf + mittens combo. So thankfully there is usually a cheaper alternative. This came through via Amazon. A company call “Grind Store” had a nearly suspiciously identical range of fury head-ware. But at £19.99 a time, considerably more affordable. Now there is the triangle of life. Good. Fast. Cheap. And you can only have two out of three at any one time. So I put in an order on the premiss of at less than £24 with postage, I won’t be disappointed if the quality isn’t that great. So it arrived in good time. It’s well put together. It’s certainly warm & cosy. But above all it gets a giggle. 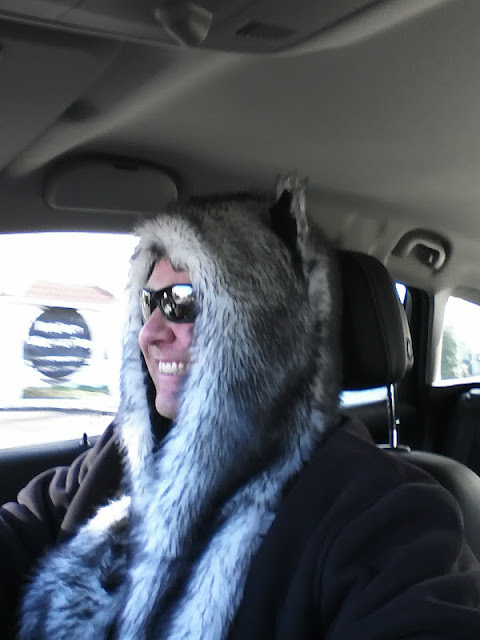 In the few weeks that I’ve had this hat the response from other people has been awesome. Typically if you wave a paw at some one, they will smile and wave back. Young or old. Although to be fair I did get a very disgusted look from some middle aged fella at my local Tesco.